I constantly remind myself that I need to drink more water instead of diet sodas and juice. There's just one problem: to me, plain water is just plain b-o-r-i-n-g. However, I was recently introduced to a product that makes drinking water a pleasure instead of a challenge! Earlier this month Ayala's Herbal Water sent me a sampler pack of their sparkling and still herbal-infused water. I received a three-pack of their sparkling water and a six-pack of their still water to try and then share a review in here. Ayala's Herbal Water is certified organic artesian water that's infused with all-natural herbal extracts. Their water contains no artificial sweeteners, flavors, colors, or chemical preservatives, so you can feel good about drinking it. The flavor combinations are really fun and interesting as well. The sparkling water comes in three flavors, and the still comes in six. We've been trying all of the varieties at Casa Garcia over the past couple of weeks, and we definitely have our favorites! 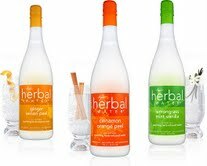 In the sparkling variety, our favorite was the lemongrass-mint-vanilla. It was such a pleasing flavor; the vanilla flavor in the background was really fantastic, and the water was just fizzy enough. It made a great dinner beverage in place of our usual diet soda...all the fizz that I love in a healthier option! The still waters are very refreshing out of the fridge. Our two favorites were cloves-cardamom-cinnamon and cinnamon-orange peel. The herbal extracts gave the water just enough flavor without being overbearing. To me, you almost smell the flavors in the water more than you taste them. For the most part, the flavors are very subtle, which is exactly what I like. I'm always honest in my opinions when I review a product in here...the good and the not-so-good. The only flavor of the still water that we didn't care for was the lemon verbena-geranium. It had an aroma of roses, which we found a bit too prominent. For us, that was the only true miss in the bunch. We really enjoyed the other flavors and plan to buy a few bottles to keep in the fridge. 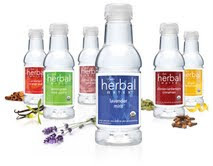 Now, the best part...Ayala's Herbal Water has agreed to give one of my readers a six-bottle sampler pack of their still water to try! To enter, all you have to do is visit the Ayala's Herbal Water website. Then come back here and leave me a comment telling me which flavor you're most looking forward to trying -- don't forget to include your e-mail address. 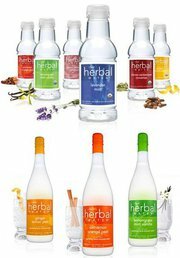 For an additional entry, you can follow Ayala's Herbal Water on Facebook. Make sure to leave a separate comment for both entries! This giveaway is open until 11:59 this Thursday (March 24th). The winner will be announced this Friday. Before I leave, I want to share a quick and easy snack that I found pairs exceptionally well with the cinnamon-orange peel water. It's made from Pillsbury crescent rounds and takes less than 20 minutes to whip up. Step 1: Preheat oven to 375. Remove the crescent rounds from the can and place on a nonstick baking sheet. Press each round in the center and pinch on the sides to make a small well. Set aside while you make the filling. Step 2: In a small bowl, combine 3 ounces softened cream cheese, 1/2 cup shredded co-jack cheese, 2 sliced green onions, and 1 tsp. Cajun spice. Stir well to combine. Step 3: Place a teaspoon of the the cheese filling into the well of each crescent. Press down slightly on each crescent before putting into the oven. Bake for 12 minutes, or until the crescents are golden brown. I turn my cookie sheet around halfway through the baking time to ensure even browning. Step 4: Cool the crescents for 10 minutes before serving. I hope you'll enter this giveaway and give my crescent rounds a try the next time you need to whip up a quick appetizer or snack! Disclaimer: I received sparking and still water from Ayala's Herbal Waters in exchange for my review. All opinions expressed in this review are my own. I think the lavender-mint water looks awesome. Actually all of their flavors look great! Ginger lemon peel. Cloves and cinnamon seem odd for water, but I'm with egb, they all look interesting! I would try their Lemon Verbena Geranium flavor! Definitely the ginger lemon peel. It sounds so fresh tasting. Very intriguing. They all sound great! Lavender-mint sounds really lovely though! Oooo I'm drooling over the cheesy crescent rounds! They sound and look fantastic! Wow, those crescent rounds look so addictive, and yummy. I would love to try these! Love the cresecent rounds - cheesey goodness! I definitely need to drink more water, too. I'd love to try the Ginger Lemon Peel flavor. Lavender mint sounds like something I'd want to drink, and then dab behind my ears as cologne. You're forcing me to make an unplanned stop at the grocery on the way home, Wendy. I MUST try those cheesy crescent rounds. it is a toss up between lemongrass mint vanilla and ginger lemon peel.